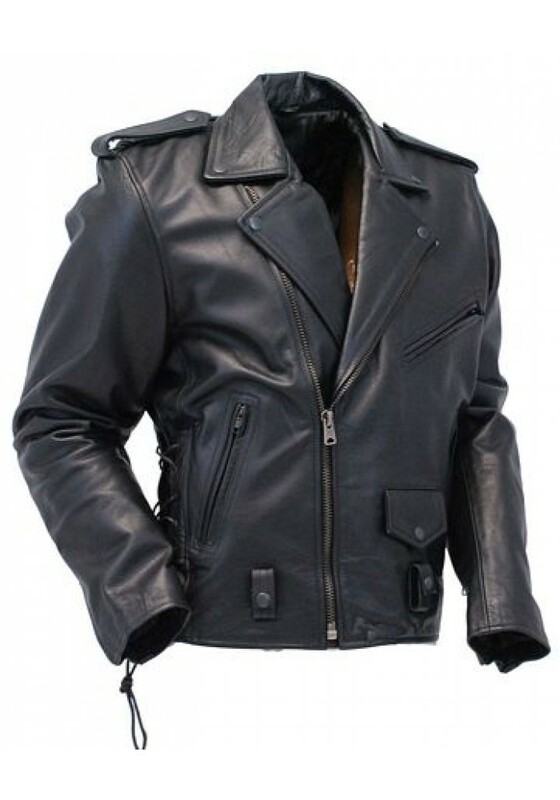 This rich looking, feature filled classic motorcycle jacket with dark hardware, side lacing, one on each side, zip out lining and is made of premium, 1.3 mm thick, premium grade cowhide leather. by jackets-leather' Leather Exclusive. 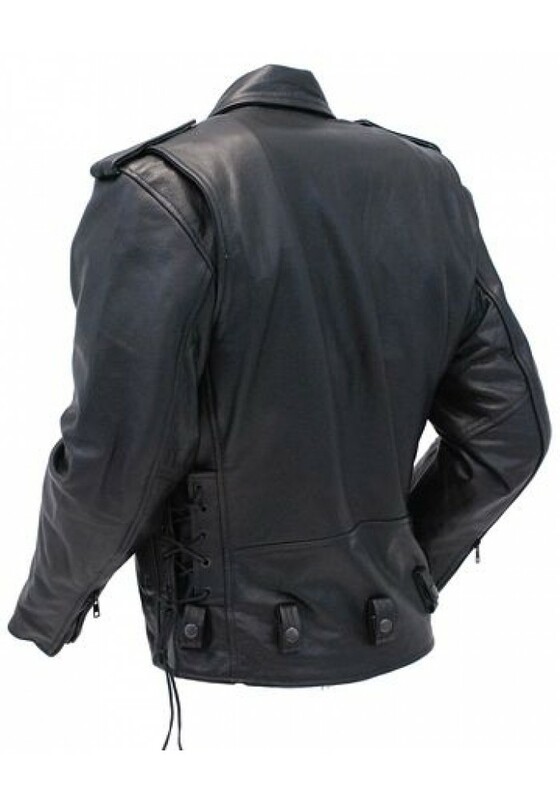 A classic highway patrol motorcycle jacket style features include 3 front zippered pockets, zip cuffs, rawhide leather side lacing and a small flap lighter pocket in front. 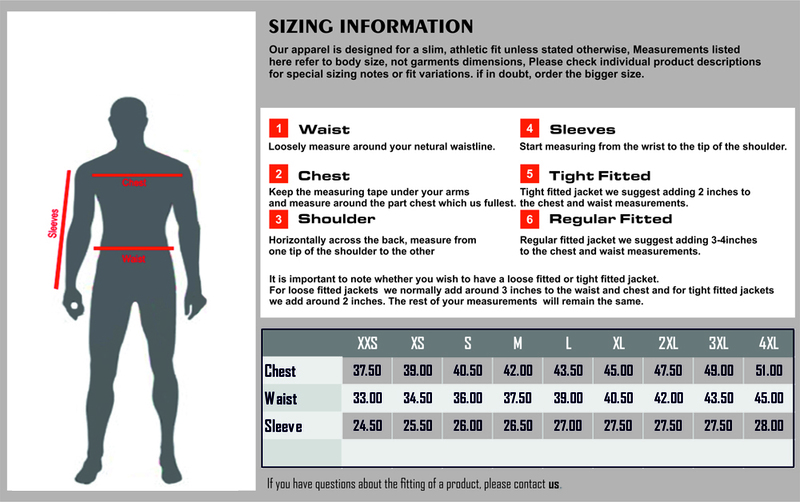 Added a highway patrol feature of snap belt loops on both front and back to attach your favourite belt as needed.